Cheshire Architects Urban Regeneration in Central Village, Liverpool This regeneration project in Liverpool includes Retail, Leisure, Hotels, Offices, Residential, Shopping Centre and a Health and Fitness club. The project was originally formed by our design team as the redevelopment of Rapid properties and subsequently expanded to include the additional properties. The site was owned and developed in phases by Mere Park and Rapid. This project with exciting modern architecture will produce a significant contribution to regeneration of Liverpool City Centre. The new landscape area over the previous railway will produce a new focal point and link for this section of Liverpool. Urban Regeneration in Chorlton Road, Manchester This Urbanisation project is located on a under utilised site with access from Chorlton Road in Manchester. The brief to our architects was to maximise the value of the land. This is a triangular shape site bounded by Chorlton Road, Cornbrook and Carriage Streets. 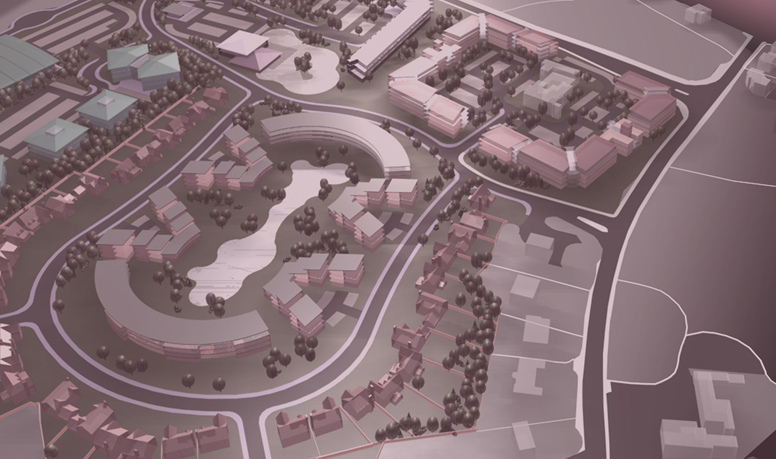 Our architects worked closely with Local authority to produce a mixed use project. The project includes Retail, Commercial, Leisure, Hotel, Assisted Living, Residential and Nursery buildings. We have also produced a landscape architectural design on Ground Floor to provide amenity space for the occupant with Car Parking below it. This concept allowed for a sustainable regeneration of the site and commercially viable scheme. The architectural form of the building was sensitively designed to reflect the existing buildings and Urban Fabric. This mixed use project with a modern architecture not only produced an exciting and inviting environment but maximised the land use. The projected scheme cost was £52m. Urban Regeneration in National Discovery Park, Liverpool Chavasse Park is a well known park in Liverpool which was designated for redevelopment. This national competition winning project was headed by our design team member. This land mark design satisfied the requirements of English Heritage, Royal Fine Art Commission, Liverpool design group and Liverpool Civic Society. The millennium centre included Millennium Bridge, Millennium Park, Discovery Hall, Media Factory, Offices, Retail, Leisure, Multiplex Cinema, below ground car parking and servicing, with a projected scheme cost of £71m. Urban Regeneration in Stapeley Water Gardens, Nantwich. This is a master planning project for Stapeley Water Gardens. The project includes Residential, Hotel, Business Centre, Industrial Park, a small Garden Centre, Local Retail and Leisure Units. We have produced number of development options for the client to review the commercial potential of the site. The site included a 40 acre area currently used by Stapeley Water Gardens. The design was formed by our design team in conjunction with local authority and property agents to produce a phase development of the site.